Hooked. This book sucked me in and kept me glued to its pages until the very end. It’s a unique story that at its end made me desperately want more. An original, refreshing read. For me, life was simple. I went to school and studied. I spent time with my friends and stayed out of trouble. I didn’t drink or swear and I only dated gentlemen. I was the typical good girl with a bright future. My world seemed perfect. Ryder Delaney was the one imperfection in my life. He was the bad boy, the black sheep, the one your mother always warned you about. He had only one hard-and-fast rule – Don’t fall in love. We were best friends, inseparable since childhood despite our differences. I knew the real man hiding behind the tattoos and bad attitude. He knew all my secrets and dreams. But he didn’t know there was one thing I wanted and couldn’t have…him. and so is the darkness. I heard about this book at Book Bash, what caught my attention was that it was a New Adult Dystopian. I thought, hey, this could be interesting… I haven’t read another New Adult Dystopian, most of them are YA. So I jotted it down before I left and finally had a chance to read it. I have lots to discuss on this one, and I find myself feeling a little torn, but overall, let me just say that it totally hooked me. The story starts off similarly to many New Adult romances, but changes direction at about 30% in. I think the book, however, had the potential to be a 5 star read. There were some elements I would’ve developed a little differently and I’ll talk about those below. But overall, I definitely recommend this book as an enjoyable, different read. Maddie is a nursing student, sweet and conservative. It comes as a surprise to meet her best friend, Ryder. Ryder is gorgeous, tattooed, dangerous and explosive. He’s the bad boy with a short temper that is a total womanizer. He doesn’t do love. Doesn’t do relationships. But somehow, despite their most obvious differences, they work as friends. They’ve know each other since they were kids, but now, after not seeing each other in awhile things felt different… the air between them suddenly charged with desire. The more Maddie analyzes the situation, the more she realizes she has feelings for Ryder and wonders whether it could be love. Ryder seems to be sweet one minute and cold the next. He’s definitely overprotective of Maddie, but his vacillating feelings have her feeling upset and confused. Early on, something almost happens to Maddie and Ryder is there to protect her and save the day. When that event happened, however, I expected Maddie to be a lot more upset than she was over what transpired and that was the first instance that left me feeling a little displeased. I wanted it to be more realistic. I wanted Maddie to be angry… real angry and a lot more afraid than she was. Soon enough, though, everything changes, and they are launched into what seems to be a battle zone. War has erupted around them and they need to figure out a way to survive. They soon go on the run, coming across other people in similar similar situations. I found it odd that they weren’t trying to ascertain what was happening, they were going off of assumptions. I felt like I wanted to know more about what was going on, and didn’t get an explanation until further into the book. But they hit the road, trying to make their way to safety and Ryder and Maddie have the opportunity to explore their relationship since they are thrust together, for better or worse. Through the entire story, we see their push and pull, the warmth and coldness, the attention and the indifference. Ryder clearly has some issues that he’s working through causing him to want to push Maddie away. I really wanted to love Ryder, particularly since it was so obvious to me he loved Maddie from the beginning… but I felt like I wanted to learn more about him. What was his motivation for acting the way he did? What happened in his past? From a character development, I wanted to feel a deeper connection and understanding to him. He does finally confess, that not only does he want Maddie, but that he has feelings for her. I loved seeing them “on” and happy. Ryder was incredible when he was warm and loving. And the chemistry between them is HOT! The desire they feel is always there… ready to unleash with a mere touch. Maddie continues to be insecure around Ryder (and rightly so) since his emotions and actions are all over the place, but there were times as they were trying to survive and things were rough, that I thought her insecurities needed to subside just a little as they focused on more important things. But despite her insecurities, their connection is undeniable. Maddie really seems to see him… his heart… who he is on the inside. In the end, there were additional plot twists that kept me wanting to see what happens. 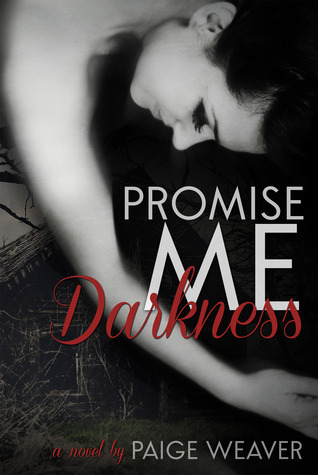 I’ve talked about some of the aspects that kept me from connecting with the book and the characters at a deeper level, but even with those issues, I loved the book. I really did. Something about it gripped me and I really did inhale the book in one sitting. It ends with a happy ending, but definitely with some plot elements unresolved. 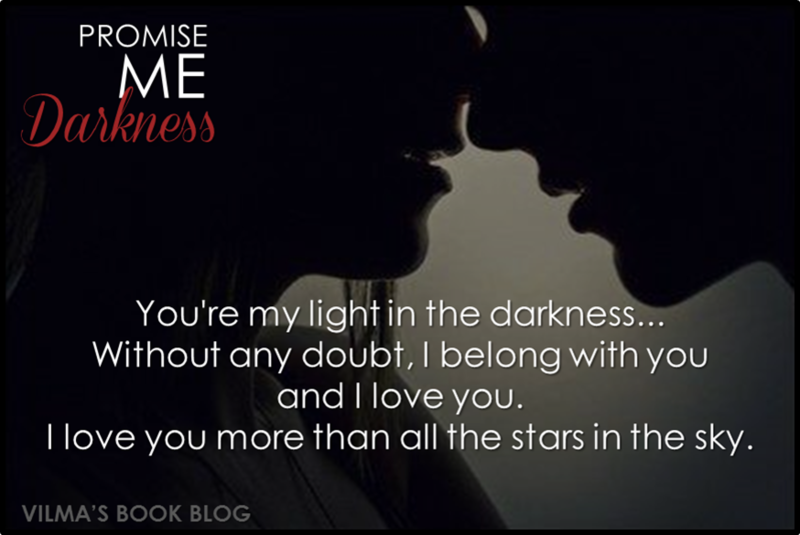 Promise Me Light will be out this September and I am hoping to read it soon! I even signed up for the blog tour. I hope Paige Weaver develops the characters further, giving us the opportunity for our feelings to intensify and connect more deeply with the characters. I urge you to pick this book and give it a try, I’m anxious to see what you all think!